Only 50 available, numbering between 1/50 to 50/50. The pricing of the Limited Edition follows a tiering system based off number groups within the set. 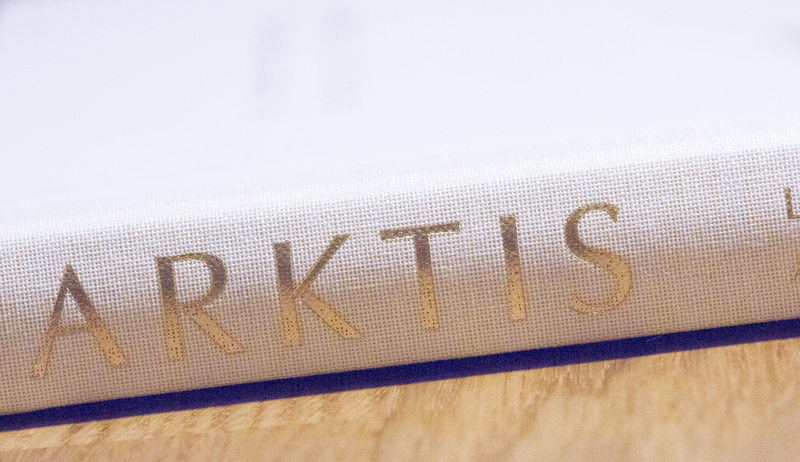 The lower the number, the more valuable the book. 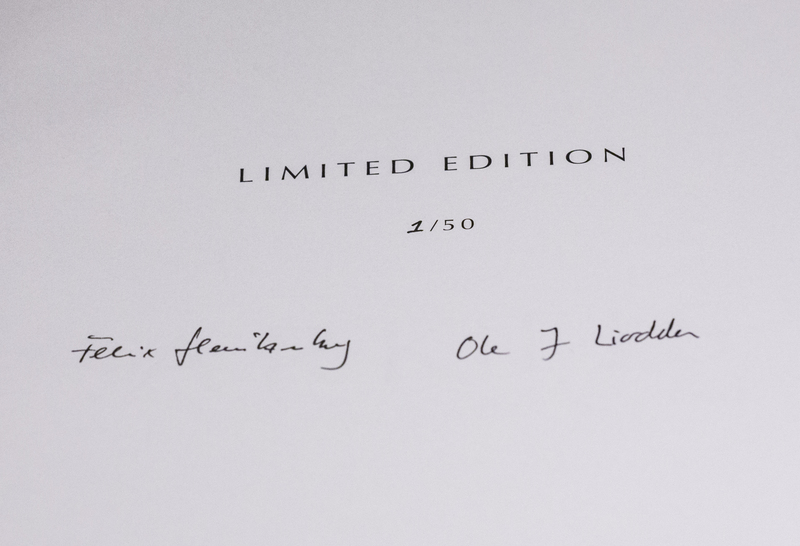 All 50 Limited Edition copies are signed by both Felix Heintzenberg and Ole Jørgen Liodden. 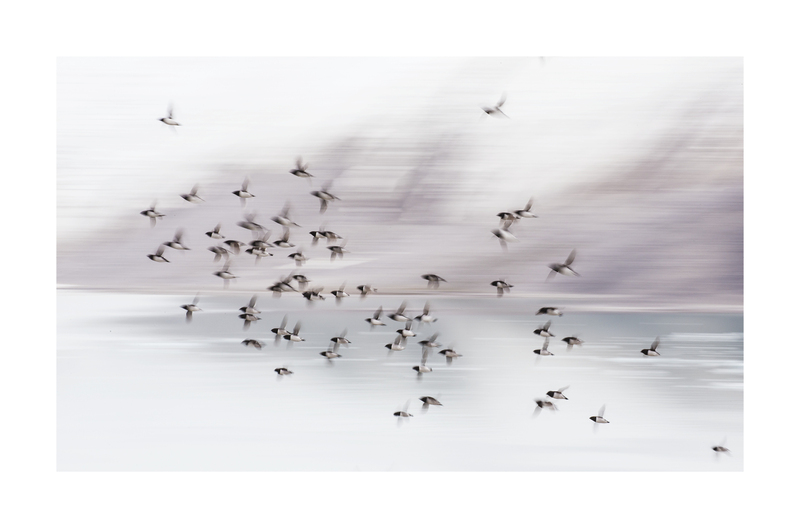 Choose one (out of five different) signed Fine Art Print from the list below . 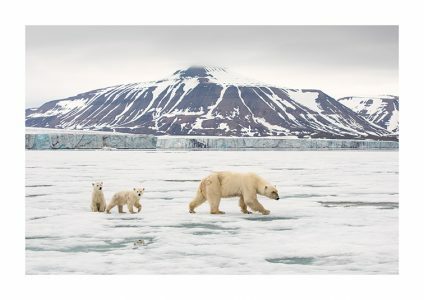 High Quality Prints are on A3 Canson Baryta Photographique paper (310g/m2), with an option to change size to A2. 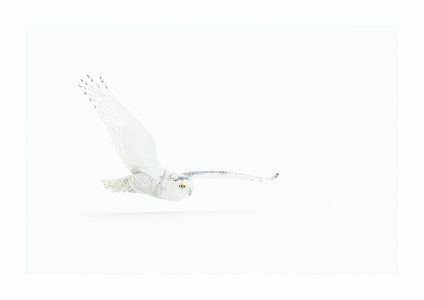 The Fine Art Prints you can choose show photographs from the book: Snowy owl, Arctic hare, polar bears, little auks and puffin. A great gift or collectors item. 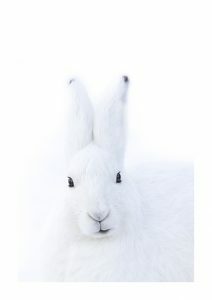 Fine Art Prints to choose from. 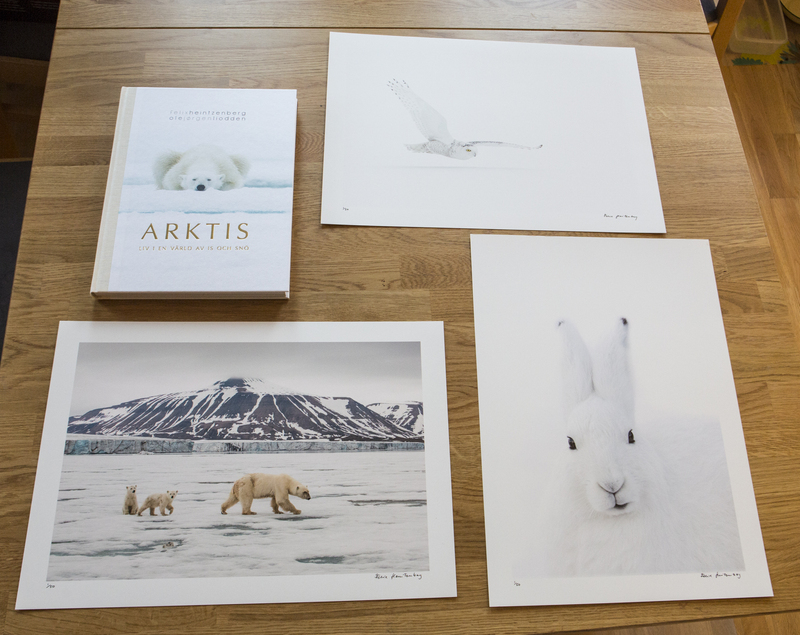 You can chose one Fine Art Print when ordering the Limited Edition Book. 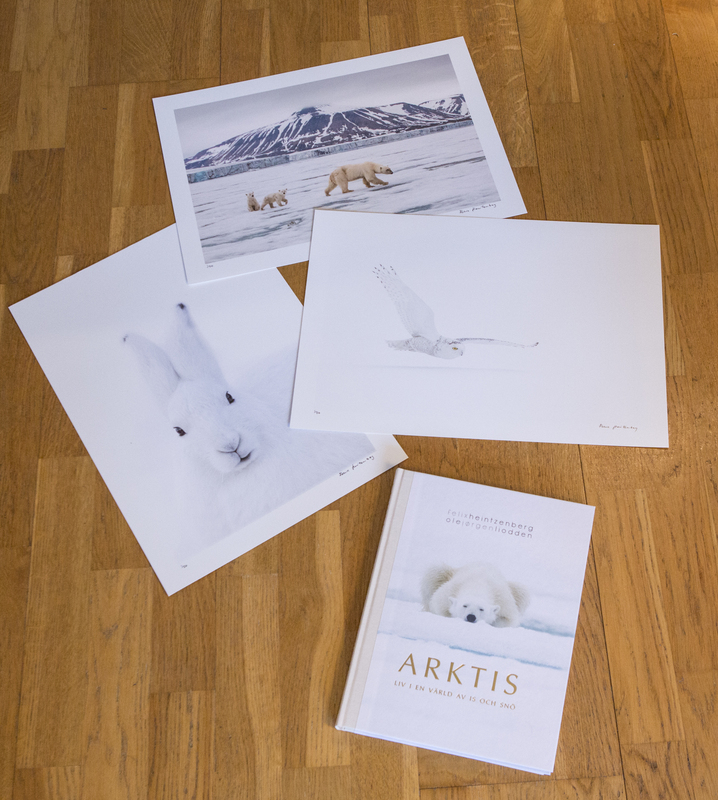 All photographs are from the book “Arktis – Liv i en värld av is och snö”. Upgrade the size of the Fine Art Print to A2, instead of A3. 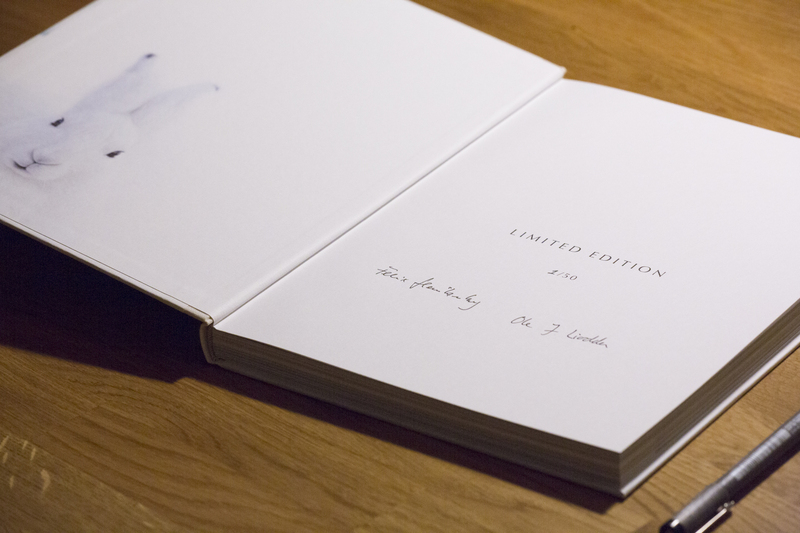 Only available in combination with a limited edition book. Felix Heintzenberg is a highly appreciated speaker who does presentations about wildlife, about wildlife photography and about his different books. He fluently speaks Swedish, English and German and has been giving presentations in various countries. 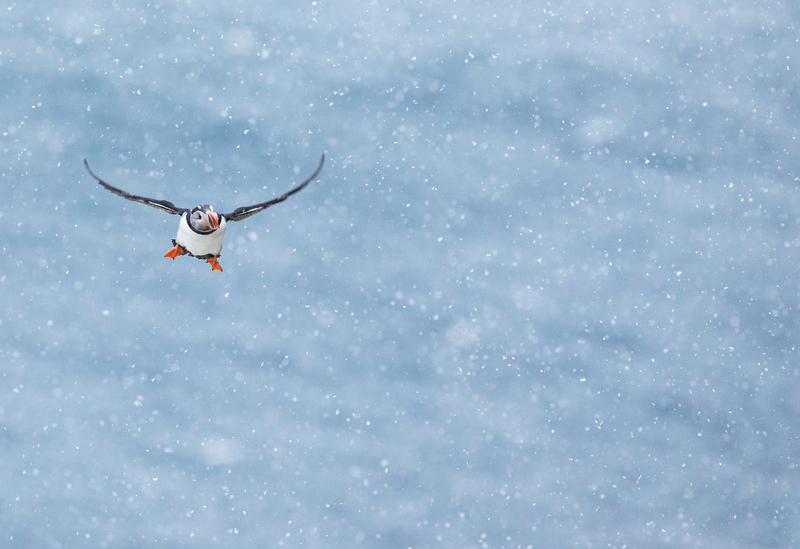 If you are interested in a presentation, please do not hesitate to get in contact.